Bacterial solar; infrared rectenna; boron arsenide’s thermal conductivity. Researchers at the University of British Columbia developed a solar cell that uses bacteria to convert light to energy. The cell worked as efficiently in dim light as in bright light, making solar a potential option in areas of the world that frequently have overcast skies. Called biogenic cells, they work by utilizing the natural dye that bacteria use for photosynthesis. Previous efforts have focused on extracting the dye, a costly and complex process that involves toxic solvents and can cause the dye to degrade. The team’s solution was to leave the dye in the bacteria. They genetically engineered E. coli to produce large amounts of lycopene, which gives tomatoes their red-orange color and is particularly effective at harvesting light for conversion to energy. The researchers coated the bacteria with a mineral that could act as a semiconductor, and applied the mixture to a glass surface. With the coated glass acting as an anode at one end of their cell, they generated a current density of 0.686 milliamps per square centimeter. Researchers from Sandia National Laboratories are working on building a new infrared rectifying antenna that can turn waste heat into DC power. 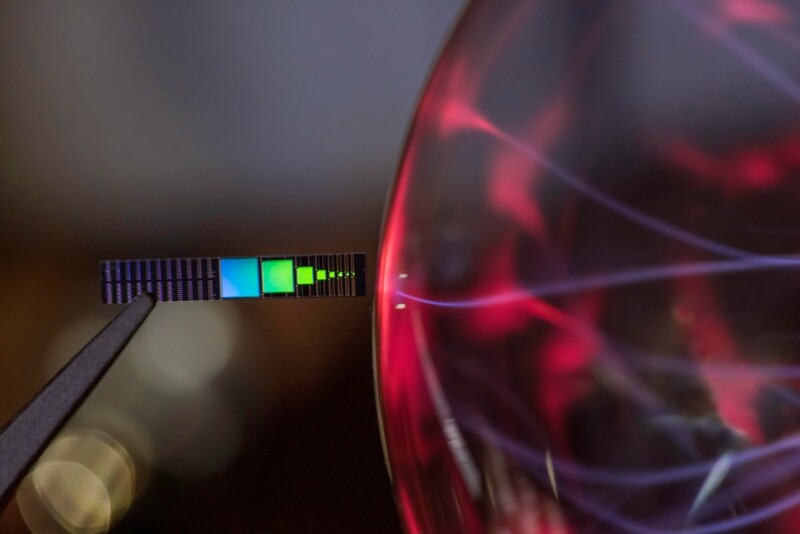 “In the short term we’re looking to make a compact infrared power supply, perhaps to replace radioisotope thermoelectric generators,” said Paul Davids, a physicist at Sandia. Called RTGs, the generators are used for such tasks as powering sensors for space missions that don’t get enough direct sunlight to power solar panels. The new device is about 1/8 inch by 1/8 inch, half as thick as a dime and metallically shiny. The top is aluminum, etched with stripes that serve as an antenna. Between the aluminum top and the silicon bottom is a very thin layer, about 20 silicon atoms thick, of silicon dioxide. The patterned and etched aluminum antenna channels the infrared radiation into this layer. The latest version of the infrared rectenna produces 8 nanowatts of power per square centimeter from a specialized heat lamp at 450 degrees C. For context, a typical solar-powered calculator uses about 5 microwatts, so they would need a sheet of infrared rectennas slightly larger than a standard piece of paper to power a calculator. So, the team has many ideas for future improvements to make the infrared rectenna more efficient. The team plans to make the device more efficient. Ideas include making the rectenna’s top pattern 2D x’s instead of 1D stripes, in order to absorb infrared light over all polarizations; redesigning the rectifying layer to be a full-wave rectifier instead of the current half-wave rectifier; and making the infrared rectenna on a thinner silicon wafer to minimize power loss due to resistance. The team thinks that within five years, the infrared rectenna may be efficient enough for it to be a good alternative to RTGs for compact power supplies. Researchers from the University of Texas at Dallas, the University of Illinois at Urbana-Champaign, and the University of Houston created highly thermally conductive crystals of the semiconductor boron arsenide, a material they point to as having the potential to boost heat dissipation in electronics. While diamond is an excellent choice for heat dissipation, having a thermal conductivity of around 2,200 watts per meter-kelvin, structural defects in man-made diamond and high cost of natural diamond limits its use. In 2013, researchers at Boston College and the Naval Research Laboratory published research that predicted boron arsenide could potentially perform as well as diamond as a heat spreader. 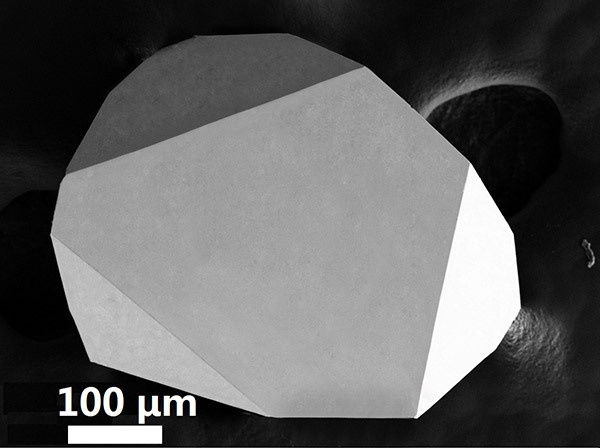 In 2015, a University of Houston team successfully produced such boron arsenide crystals, but the material had a fairly low thermal conductivity, around 200 watts per meter-kelvin. “We have been working on this research for the last three years, and now have gotten the thermal conductivity up to about 1,000 watts per meter-kelvin, which is second only to diamond in bulk materials,” said Bing Lv, assistant professor of physics at UT Dallas. Lv also said that while arsenic by itself can be toxic to humans, once it is incorporated into a compound like boron arsenide, the material becomes very stable and nontoxic. The researchers next plan to try other processes to improve the growth and properties of the material for large-scale applications.